Over 35 boys left their schools on October 1, to receive their traditional, but also controversial Dinka head scarifications in Warrap State’s Gogrial. James, a 13-year-old schoolboy attending primary five, left his school in the morning of October 1, for the traditional head marking ceremony in Gogrial West County. Already bleeding for over an hour, he says he wants the head marking so people in his family don’t call him a small boy anymore. “I am free now to talk with girls and they will not call me a boy anymore, because in Dinka culture, somebody with marks on the forehead is being respected as a big man even though small in age,” he says. James says the scares are part of the “real culture”, adding that “my culture is my identity so the marks you see on my head shouldn’t be covered because our grandfathers said so – we will never regret having them on our heads, never”! According to James, who encourages others to follow suit, the head scares “make people more valuable”. But the painful practice takes its toll from the boys. Some bleed for hours, others vomit during and even after the cutting. Facial scarification is practiced among many ethnic groups in South Sudan, and various marks across the faces of tribesmen give identity to the tribe and beauty to its women. However, others consider it a brutal act of violence committed mostly against children, who suffer unbearable pain during the scarification process. Men of the Dinka tribe in South Sudan scar their faces with three parallel lines across the forehead in a rugged display of courage to the tribe. The marking is common as initiation pattern to adulthood. The Nuer as well receive facial markings as part of their initiation into adulthood. The most common initiation pattern among males consists of six parallel horizontal lines, which are cut across the forehead, often with a dip in the lines above the nose. Apart of the Dinka and Nuer, other ethnic groups like the Shilluk and the Mundari practice facial scarification, all with their unique style of lines and dots. Most groups consider the facial scarification as part of their culture, whilst up to today it is not yet clear if the facial scarification was part of the culture before the colonisation period, or if the British colonisers introduced it to differentiate the different ethnic groups. Doctor Deng Atem, a medical specialists in Kuajok, says “the head marks have become a death certificate nowadays in South Sudan”. One of the reasons, according to the doctor, is that many Dinka and Nuer were killed because they were able to identify each other through the traditional head markings. But the doctor is also concerned about the practice itself: “Mixing the blood of more than 35 people using one knife can easily transmit diseases such as HIV and AIDS,” he says, adding that “people should stop practising it because it has become the real enemy to the lives of young people”. 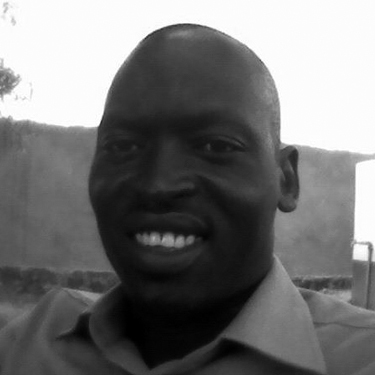 Atem suggests to pass a law prohibiting harmful traditional practices in South Sudan.